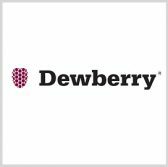 Dewberry has secured contracts from the Pennsylvania and Florida departments of transportation to support certain infrastructure projects in both states. The company said Monday it will provide engineering services to a roadway rehabilitation and traffic improvement project along State Route 61 within PennDOT’s District 5. PennDOT also tasked Dewberry to conduct environmental studies and help finalize design for PA 96 bridge modernization efforts in Bedford County. The estimated cost for both projects is $11.5 million. FDOT selected the company to design a replacement for the Thomas Drive Bridge located in Holmes County, Fla., according to a separate press release. Dewberry will perform bridge hydraulics, drainage, bridge structure, geotechnical and environmental engineering work on the bridge over Open Creek.